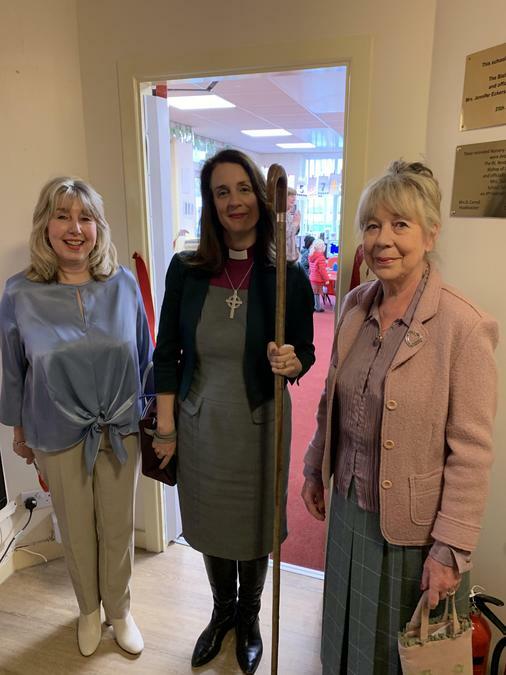 We welcomed Bishop Jill into school on Monday afternoon to dedicate our new building work. Mrs Cliff and Mrs Fleet, both former pupils of St. Michael’s and governors to school, officially opened the EYFS unit and new entrance. A short service was held in the hall, to which the children sat and behaved impeccably. Bishop Jill commented that she had led worship in many schools and the behaviour of our children was by far the best she had seen. Well done to all the children from Nursery to Year 6. You were fabulous!